Security is something on every home owners mind when away from their home for extended periods of time. 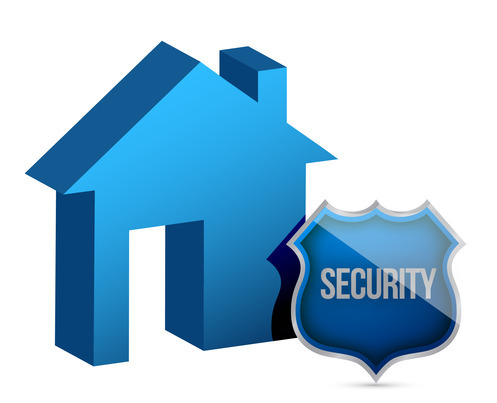 To ease reoccurring worries of your home security, here are some tips on keeping your property safe. One of the most common ways in which burglars get into a home is through cracked windows and dodgy doors. Particularly for student housing, tenants will leave their front doors unlocked and windows open. Even just a small crack in an ajar window can allow easy access for burglars. Thinking that no one would notice an ajar window proves fatal for home security. Don’t leave spare keys under bricks or plant pots! All too often we hear of beak-ins through dodgy doors that are easily broken to gain access. Ensure you check your doors stability, the hinges and the glass to ensure that it would not be easy to break-in through that access point. Double-glazed glass is always the more secure option as single pane glass seen in older properties are easy to break and makes less noise being broken. If you are travelling, ensure that you leave a light on and inform neighbours. Burglars are more likely to break in to properties that they can see is not vacant or not occupied. Installing a dummy alarm is one of the best ways of putting of burglars as they won’t know if there is an alarm or not and are less likely to take a risk. Try and upkeep your front and back gardens and entrances, as a sign of upkeep shows the property is inhabited and this puts off burglars. If you heed our top tips, you should be less likely to fall victim of burglary and your mind can be at peace leaving your home. ← How can a home security inspection help me?